UNITED NATIONS, Oct 26 2012 (IPS) - A new study confirms what many Iraqi doctors have been saying for years – that there is a virtual epidemic of rare congenital birth defects in cities that suffered bombing and artillery and small arms fire in the U.S.-led attacks and occupations of the country. Records show that the total number of birth defects observed by medical staff at Al Basrah Maternity Hospital more than doubled between 2003 and 2009. In Fallujah, between 2007 and 2010, more than half the children born there had some form of birth defect, compared to less than two percent in 2000. 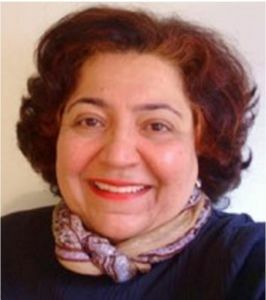 Mozhgan Savabieasfahani, a lead author of the latest study published in the Bulletin of Environmental Contamination and Toxicology, entitled “Metal Contamination and the Epidemic of Congenital Birth Defects in Iraqi Cities,” reports that in the case study of 56 Fallujah families, metal analysis of hair samples indicated contamination with two well-known neurotoxic metals: lead and mercury. IPS correspondent Julia Kallas spoke with Savabieasfahani about Iraq’s health crisis and the long-term consequences of exposure to metals released by bombs and munitions. Q: You focused on Fallujah and Al Basra. Is there any indication that this problem could be affecting other Iraqi cities as well? A: There is one other paper that has come out from another city and I think that there are similar things. I think that it is possible that anywhere could be affected. Some other places are seeing similar situations but there are no publications to indicate it. There is a great possibility that other places that have been bombed are also showing similar things. Q: Your study found serious deformities in infants as late as 2010. How many years will the health effects of the war continue to be felt? A: Speaking as an environmental toxicologist, I think that a long as the environment is not cleaned, as long as the source of this public contamination is not found and as long as people are exposed to it periodically on a daily basis, I think this problem will persist. And what we can see is that they are actually increasing. I think that the best step right now is to do large-scale environmental testing – test water, air, food, soil, everything that comes in touch with people. Test them for the presence of toxic metals and other things that are in the environment. And once we find the source, then we can clean it up. Unless we do that, this is going to continue to happen because people are getting exposed. Q: What kind of munitions would be responsible for this type of large-scale contamination? A: We have referenced a couple of U.S. military documents and it is the kind of things that could lead to this version of metal as indicated in the references. Various metals are contained in small arms ammunition. But it could be anything from bombardments, from the bombs that come down on the place, or bombs that exploded from the tanks, or even bullets. They all have similar metals in them, including mercury and lead poisoning, which is what we have found in the bodies of the people who live in these cities, Fallujah and Basra. Q: Have you collaborated at all with the World Health Organisation researchers who are conducting similar research, with their findings due out next month? A: No, I have not been in touch with the World Health Organisation or any other organisation. We have just worked with a collection of scientists. Q: Are you aware of any formal reaction to your research by the Iraqi, U.S. or UK governments? A: There has been some. The U.S. Defense Department responded to the report by saying that they do not know of any official reports that indicate any problems in Al Basrah or Fallujah. But I think that is the only thing that comes to my mind. Q: How is the local health care system coping with an emergency like this? And how can contamination management and medical care procedures be provided in these areas? A: I know that the hospitals in the two cities that we studied are overstretched and as far as that is a concern there are ways to help these hospitals. We need to organise doctors, scientists and people who are professionals in this area to help clean up. Organise them, bring them to these two cities and get them to start working. However, all of that requires financial and other kinds of support. Financial and political support together will help to make that happen. reference to it in the cited study itself. Very odd. Want a really truly scary costume for Halloween? Dress as a chlorine CEO, lobbyist, or complicit public official…or as a researcher who ignores such integral evidence. Perhaps even the master manipulators Savabiesafahani and Busby gave up trying to blame non existent depleted uranium for birth defects in Fallujah. The previous claims always were bogus and they knew that if someone could establish beyond a reasonable doubt that DU never was used in Fallujah, that continuing to make the same complaints at Fallujah would hold the entire propaganda scheme up to public scrutiny and eventual disbelief. What will it take to convince you?